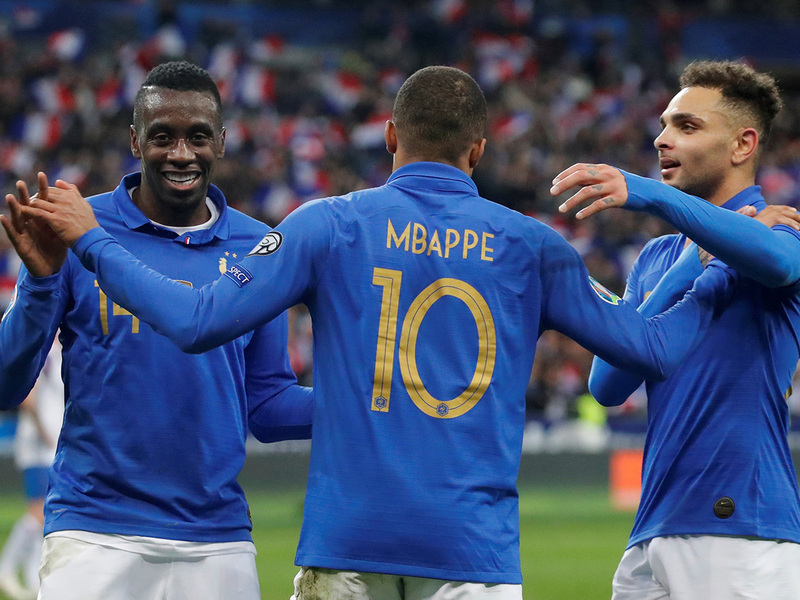 Paris: Kylian Mbappe scored one and set up two more as France routed Iceland 4-0 at the Stade de France on Monday night to move to the top of Group H in Euro 2020 qualifying. Olivier Giroud kneed the ball into the empty net for his 35th France goal. That moved him into third on the all-time list of France scorers, breaking a tie with David Trezeguet. The Chelsea striker trails only Michel Platini, on 41, and Thierry Henry, the all-time leader on 51. Mbappe added a third after 78 minutes. Antoine Griezmann slipped a pass between two defenders to the advancing Mbappe who shrugged off a timid challenge and slid the ball past Halldorson.